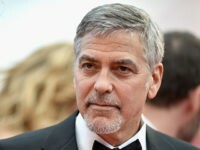 Actor and immigration activist George Clooney will move to Los Angeles with his wife Amal and newborn twins Ella and Alexander due to security concerns at his England estate, according to a report. Switzerland has added dozens of guards and a surveillance drone at its Italian border in an effort to reinforce security and stanch the flow of migrants heading into northern Europe. 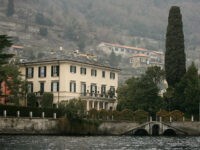 Residents living near the secluded Italian lakeside paradise of Lake Como are reportedly furious at the massive migrant camp that has been set up just outside of immigration activists George and Amal Clooney’s multi-million dollar mansion. 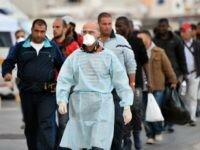 A massive makeshift refugee camp has been established in Lake Como, the popular and secluded celebrity hideaway in Italy where Hollywood A-lister George Clooney keeps a home.